After my post about cruelty free makeup, I’ve been doing a lot of research on cosmetics in order to incorporate more cruelty free products into my routine. Unfortunately I have come across some more bad news about many of the cosmetics that I use. So here we go again. Did you know our skin absorbs 60% of the products we slather on it? And that some of that goop ends up in our bloodstream? Well it does and I don’t know about you, but that makes me a little nervous. Scary, right? Now I am not going to tackle all of the issues brought up in the video because that would be incredible overwhelming for both you and me. Instead I am just going to tackle parabens today. I found a lot of controversial information about the safety of parabens and I am going try my best to summarize my findings and provide you with a few ways to incorporate paraben-free products into your routine. So here it goes. What exactly are parabens you ask? Allow me to enlighten you. Parabens are used as a cheap preservative in cosmetics. They basically keep yucky mold from growing inside your glamorous products, which at first sounds pretty reasonable. Right? But oh by the way, parabens have also been found in breast cancer biopsies. That sounds bad. The FDA argues that although parabens have been found in breast cancer tumors, the studies don’t show that parabens actually cause cancer. So there is a potential link, but it has not been proven… yet. The FDA states that “at the present time there is no reason for consumers to be concerned about the use of cosmetics containing parabens”. In my opinion, I would rather avoid potentially harmful chemicals until its proven safe rather that use these chemicals until they are proven dangerous. But hey, that’s just me. These are the most common parabens to watch out for: Ethylparaben, Butylparaben, Methylparaben, and Propylparaben. These are the biggies, but there are others out there and you can spot them on ingredient lists by basically looking for an impossible to pronounce word with “paraben” at the tail end of it. If you want to check the safety of your current products or search for some new products, you can head over to the Skinn Deep data base and check out their cosmetic safety rankings. I will warn you that this will be incredibly overwhelming and scary at first. I searched the data base for a new BB cream because its the one cosmetic product I use daily and so I put it at the top of my needs-to-be-replaced list. I have very dry/sensitive skin so I’ve been drawn to moisturizing BB creams since they became the next big thing. I came across one sold by Physicians Formula that had a good ranking on Skin Deep, is cruelty free, is fairly inexpensive, and is sold in grocery/drugstores so I didn’t have to order it online. Dreams do come true! I have only used it three days so far, but I can’t complain yet. Although if I start breaking out or getting a weird rash in a week, I’ll let you know all about it! It is thicker than the other creams I have tried, but so far that hasn’t turned out to be a bad thing. Just different. I do like that this cream offers the same full coverage that my old one did. I’m not into those sheer creams or tinted lotion. I need that skin evening power when I roll out of bed in the morning! Birchbox.com also has a great selection of ingredient conscious products. I look forward to browsing their selection for a new body lotion and whatever else catches my eye. Birchbox is where I found the W3ll People bronzer I wrote about in my last Makeup Breakup post. 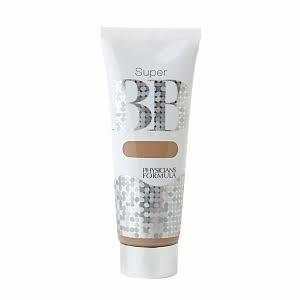 All W3ll People products are paraben free, cruelty free, and fabulous. Lastly, try to look for oil based products because water based products require more preservatives and therefore often times have parabens in them. I think that is everything! I hope you learned a bit and are not as overwhelmed as I was while I tried to research and write this. It took me a few days of frantic googling to realize that my reinvented makeup arsenal is not going to become perfect overnight. It is a marathon, not a sprint. So cheesy, but true. I will continue to share all of my new findings and I would love to hear any recommendations you have! Categories: Uncategorized | Tags: Beauty, Health, Lifestyle, Makeup, Natural, Wellness | Permalink.